It is recyclable, but not easily so. That old subject again, the recyclability of take-away coffee cups. But before you groan about our disposable culture, there has recently been some great news, at least as far as the university sector is concerned. Regular readers may know of the Bean Thinking list of Top UK Universities for Coffee Cup Recycling. You may also be aware of just how short that list has been. Now though, there are signs of change. Perhaps because it is the start of the academic year, several universities including Oxford Brookes and the University of Bedfordshire have announced new schemes for recycling their cups with Simply Cups. 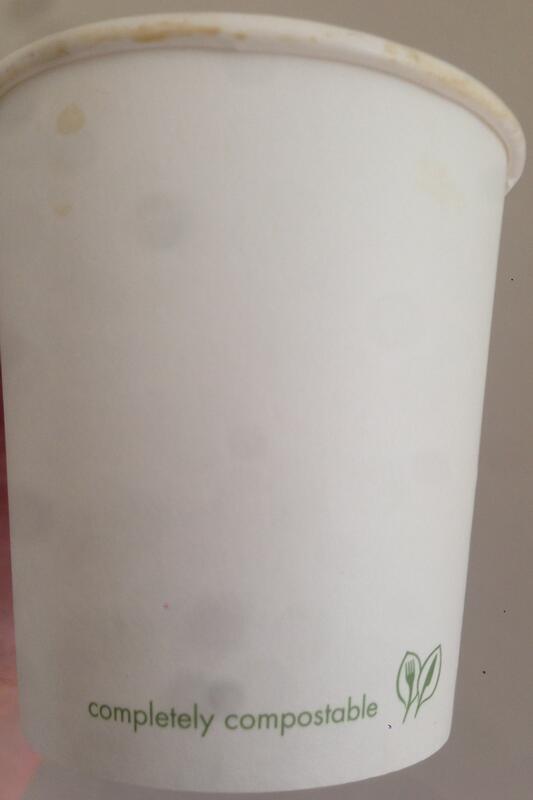 Owing to the way the cups are made it is extremely difficult to recycle them; although they are technically recyclable, very few companies have the capabilities. Consequently, the majority of the cups that we use for our take-away are just thrown-away, taking many decades to break down. Using compostables can be a step in the right direction. It is often our universities that do the research showing just how environmentally damaging our disposable culture can be. Nonetheless many university catering departments continue to serve coffee in “disposable” cups without putting in place any scheme to recycle them. Over a year ago I started a list of the UK’s top universities for coffee cup recycling. It would be thought that it should be extremely easy to be listed here. To be listed, all a university has to do is take a responsible attitude to it’s take away coffee cup use. Preferably, they would discourage take-away coffee cup use altogether. As Loughborough University recognises, slowing down, talking with colleagues over a stay-in (washable cup) coffee can be far more productive than scurrying away with your non-degradable cup. However, often we feel that we don’t have time to sit down for a coffee and need to take-away. At this point, to be listed on the guide, all that a university would have to do is either invest in compostable cups (despite the caveats*, this is at least a step in the right direction) or institute a scheme to collect and recycle their coffee cups (as has been done at the University of Bath, Bedfordshire, Kent, Loughborough, Manchester Metropoliton and Oxford Brookes University). As may be apparent from the fact that the universities can be listed within this short article, the current list is woefully short. Even after the recent good news from Oxford Brookes and the University of Bedfordshire. Most universities, including my own are sadly still not on it. So, what can you do if your university is not listed here? If you think it should be listed but hasn’t been it is very highly likely that I just don’t know about it yet, please let me know by contacting me through email, Twitter or Facebook. If your university is doing very little to discourage disposable cup use: Write to the catering department and waste management department of your university to let them know your concerns. When writing, be aware of the fact that they have probably considered this problem before and are aware of the issues but have concerns/limitations that have prevented them from implementing a policy. Consumer pressure can help to change their minds but there may be (what appear to them to be) valid reasons that they have not yet done so. Use a re-usable cup. Even if your university does not charge extra for using a disposable cup/give a discount for using a re-usable (thereby encouraging the use of re-usables), systemic change starts with individuals. Be the start of the change you want to see. You can find a review of various re-usable coffee cups here. 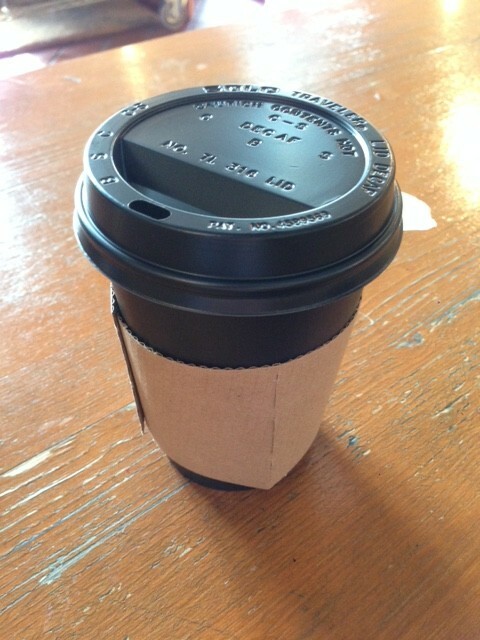 Refuse to buy your stay-in coffee if you are served it in a take-away cup. Good coffee deserves to be enjoyed in appropriate cups and poor coffee should be avoided anyway. You can find the list of the UK’s top universities for responsible take-away coffee cup use here. *The word ‘compostable’ does not necessarily mean that it will compost in a home-composting environment. For this situation to be preferable to the ordinary disposable cup, it would be necessary to have some form of industrial composting facility in place. Thanks for the link. It’s good to see the cause of cup re-use generating so much interest!